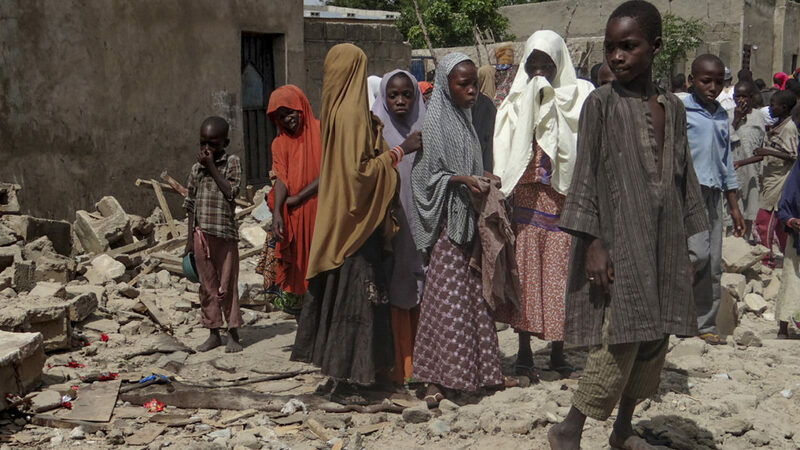 Donor countries who met in Oslo raised 869 million dollars (634 million euros) in emergency aid to address the humanitarian woes caused by Boko Haram terrorists in Northeast Nigeria and the Lake Chad Basin. NAN reports that the UN says the eight-year conflict between the Nigerian army and Boko Haram militants has devastated the region. The amount was pledged over three years and was aimed at helping 10.7 million people in need. The UN has previously said it hoped to raise 1.5 billion dollars in 2017 for the region, which includes Nigeria, Niger, Cameroon and Chad. Norwegian Ambassador to Nigeria, Jens-petter Kjemprud, told the News Agency of Nigeria (NAN) in Abuja that the conference was hosted by Norway in conjunction with Nigeria and Germany to support aid operations in the region. According to him, the humanitarian crisis in the northeast made Nigerian government approach the international community to ask for assistance. ‘“Your own government and the Norwegian government brought the initiative of the humanitarian conference. “It was basically for Nigeria because the bulk of the conflicts was from the Northeast in Borno. According to him more than 86 per cent of the appeals has been honoured. “This is an ongoing process, the Nigerian Government incorporation with UN preparing the appeal for 2018. The Foreign Affairs Minister, Geoffrey Onyeama, had told NAN that the fund was to assist Lake Chad basin countries to bear the brunt of Boko Haram crisis. “UN is disbursing a lot of the fund, and a lot of it is going into relief and food materials for the Lake Chad region countries,” he said. The minister commended the UN for the role it played in organising the donor conference. “We appreciate very much the role the UN has been playing to assist us to address the serious humanitarian challenges we are facing in the northeast of the country,” he said.